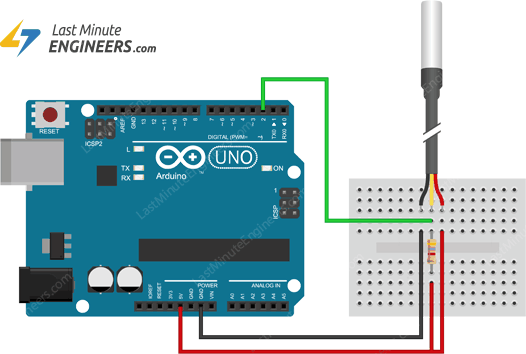 One of the easiest and inexpensive way to add temperature sensing in your Arduino project is to use DS18B20 1-Wire Temperature Sensor. These sensors are fairly precise and needs no external components to work. So, with just a few connections and some Arduino code you’ll be sensing temperature in no time! 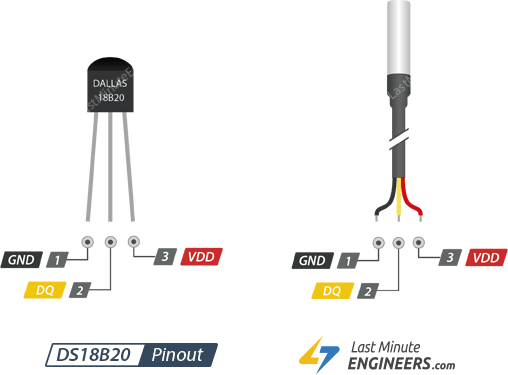 DS18B20 is 1-Wire interface Temperature sensor manufactured by Dallas Semiconductor Corp. The unique 1-Wire® Interface requires only one digital pin for two way communication with a microcontroller. The sensor comes usually in two form factors. One that comes in TO-92 package looks exactly like an ordinary transistor. Other one in a waterproof probe style which can be more useful when you need to measure something far away, underwater or under the ground. DS18B20 temperature sensor is fairly precise and needs no external components to work. It can measure temperatures from -55°C to +125°C with ±0.5°C Accuracy. The resolution of the temperature sensor is user-configurable to 9, 10, 11, or 12 bits. However, the default resolution at power-up is 12-bit (i.e. 0.0625°C precision). The sensor can be powered with a 3V to 5.5V power supply and consumes only 1mA during active temperature conversions. One of the biggest advantages of DS18B20 is that multiple DS18B20s can coexist on the same 1-Wire bus. As each DS18B20 has a unique 64-bit serial code burned in at the factory, it’s easier to differentiate them from one another. This feature can be a huge advantage when you want to control many DS18B20s distributed over a large area. 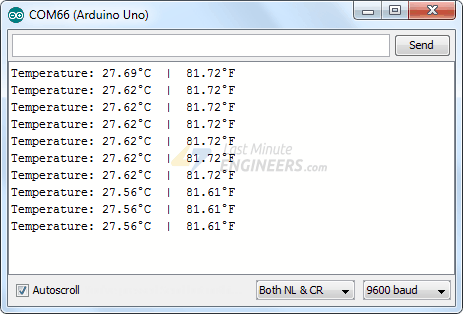 To know how to read temperature from multiple DS18B20 temperature sensors, please check this tutorial out. DQ is 1-Wire Data Bus should be connected to a digital pin on microcontroller. VDD pin supplies power for the sensor which can be between 3.3 to 5V. Enough of the theory, Let’s Go Practical! Let’s hook the DS18B20 up to the Arduino. The connections are fairly simple. 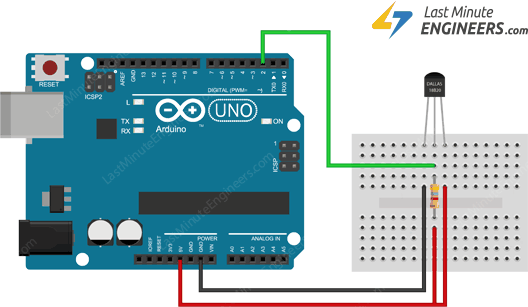 Start by connecting VDD to the 5V out pin on Arduino and GND to ground. Be careful to get the DS18B20 the right way around. If you put it the wrong way around, it will get hot and then break. 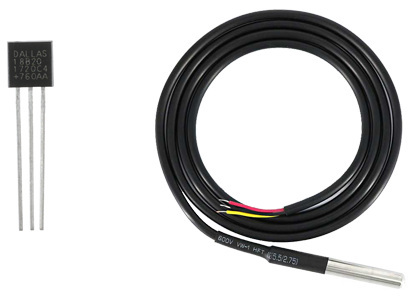 If you are using the waterproof version of the DS18B20, connect Red stripe to 5V, Black connects to ground and Yellow Stripe is data that goes to digital pin 2 on arduino. 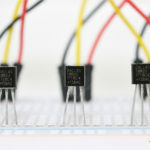 You still need to connect a 4.7K pullup resistor from data to 5V. The following sketch will give you complete understanding on how to read temperature readings from DS18B20 Temperature Sensor and can serve as the basis for more practical experiments and projects. 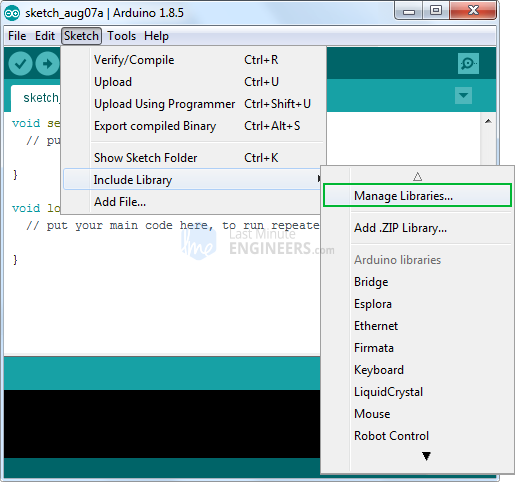 The sketch starts by including OneWire.h and DallasTemperature.h libraries and declaring the Arduino pin to which the sensor’s signal pin is connected. Next we create a one-wire object by passing sensor’s signal pin to its constructor. This one-wire object let’s us communicate with any one-wire device, not just DS18B20. In order to communicate with DS18B20 sensor, we need to create object of DallasTemperature library and pass reference of one-wire object as a parameter. Once a DallasTemperature object is created, we can issue below simple commands to interact with the sensor. begin() function searches for connected sensors on the bus and sets bit resolution (12 bits) for each. requestTemperatures() function sends command for all sensors on the bus to perform a temperature conversion. getTempCByIndex(deviceIndex) function reads and returns temperature reading from the sensor. deviceIndex is nothing but the location of the sensor on the bus. 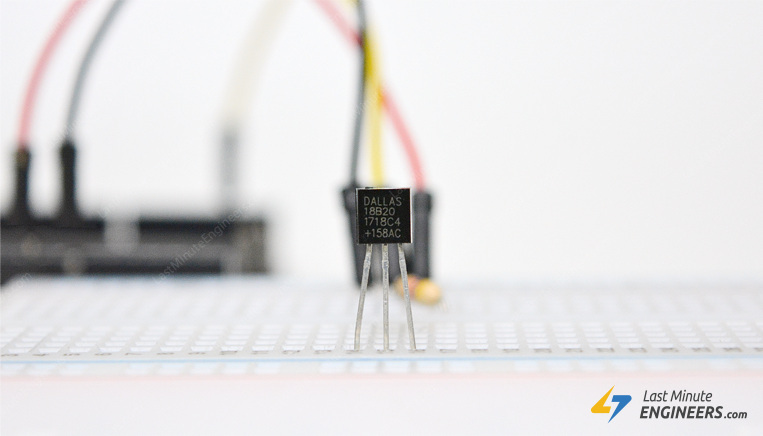 If you are using only one DS18B20 on the bus, set it to 0.
setResolution() function sets resolution of internal Analog-To-Digital converter of DS18B20 to 9, 10, 11, or 12-bits, corresponding to increments of 0.5°C, 0.25°C, 0.125°C, and 0.0625°C, respectively. bool getWaitForConversion() function returns the value of the waitForConversion flag. It can be useful when you want to check whether a temperature conversion is complete. bool hasAlarm() function returns true if device have an alarm condition when temperature exceeds high & low alarm temperature setting.